"Thrilling first-hand accounts by those who conquered the world's great mountain peaks." 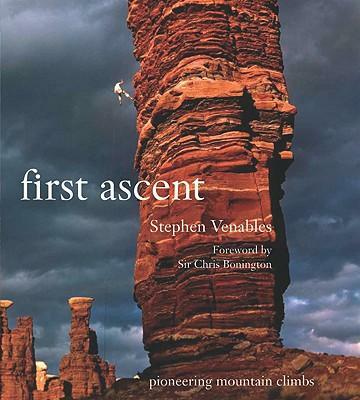 First Ascent takes readers back to a time when there were many mountains yet to be climbed. Using first-hand accounts and archival photographs, it tells the exciting history of world mountaineering by describing in vivid detail the first ascents of the most daunting peaks. At the same time, it reveals the development of climbing styles and climbing technology. Covering every main mountain range in the world, these pioneering ascents include classic mountaineering, rock climbing, unassisted climbing, big-wall climbing, ice climbing and clean climbing. Tragedy and victory are equal partners in these gripping real-life adventures. First Ascent includes the 24 most challenging ascents dating from 1865 to 2005. Among them are: The first ascent of Everest, in 1865, which claimed three lives Beatrice Tomasson's 1902 climb of the Marmolada south face American climber Layton Kor's ascent of the spectacular Utah Towers The first ascent of the north face of North Twin in the Canadian Rockies, one of history's greatest climbs The first free climb of Yosemite's El Capitan, as recently as the 1990s. Climbers, outdoor enthusiasts and would-be adventurers will enjoy these exhilarating true stories told by the climbers and accompanied by thrilling photos taken along the way.